So. Remember that me and Johan did some heavy resawing with the frame saw a while back? Well all parts except for the tops are sanded to thickness and yesterday I managed to pry Johan from his phone for an hour. And we bent the sides for his mini guitar. It went really well, he got the idea and felt when the wood gave and when it didn’t. 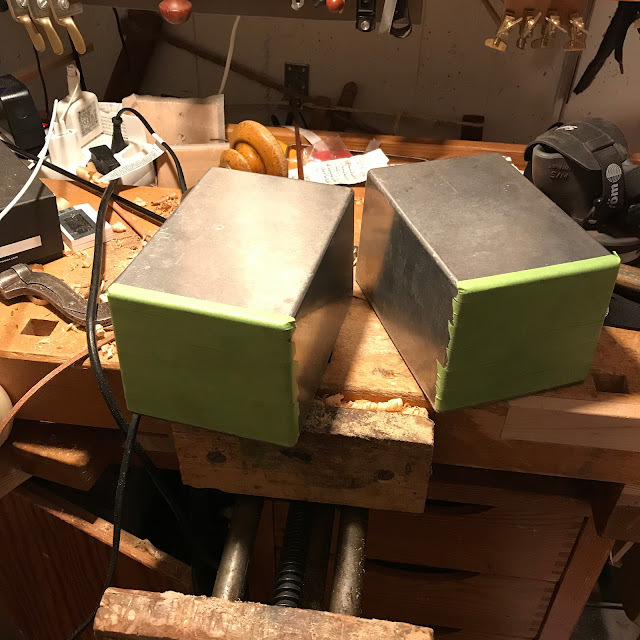 I thought I was gonna bend the sides for the cavaquinho I’m building for my friend and drummer, but I’ll do that on Sunday I think. Here are the sides, or more correctly; here’s the one piece rim Johan bent. I have some wood that needs planing, and the workshop is cluttered and needs a big clearing up. In fact, I will have to clean the bench before I plane that wood. So of course I veer off at a tangent instead of doing that. 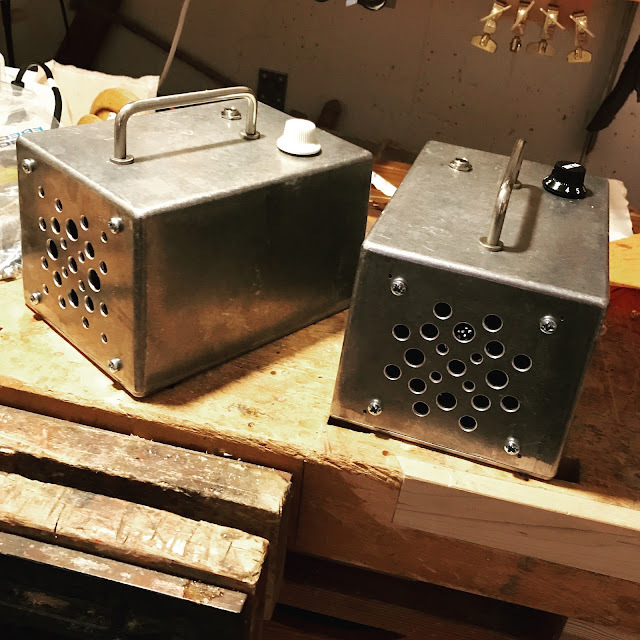 These two aluminium boxes will be miniature guitar amps! And I will play my bass through one of them and it will sound like a chainsaw cutting into a beehive. I put masking tape on the fronts to mark the holes. 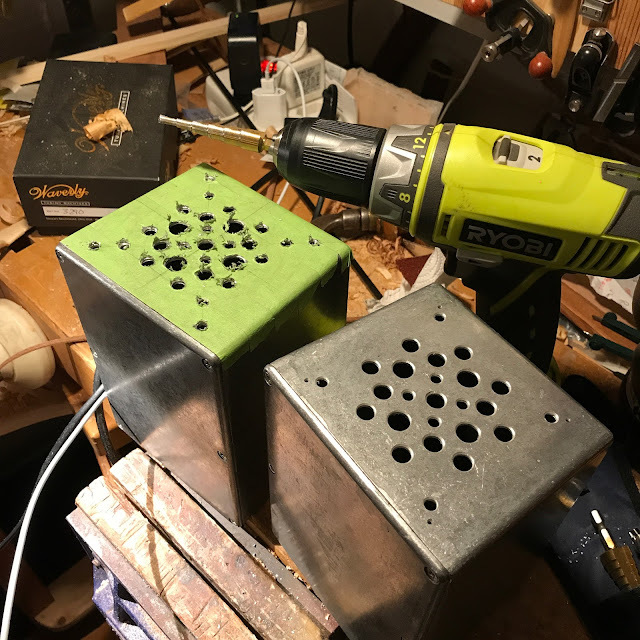 I use a step drill / Devo hat to make the holes. The amp modules are from ebay, the speaker cones are from the trash. Apparently my neighbours never tire off chucking speakers out. Done. They are better than my previous attempts.